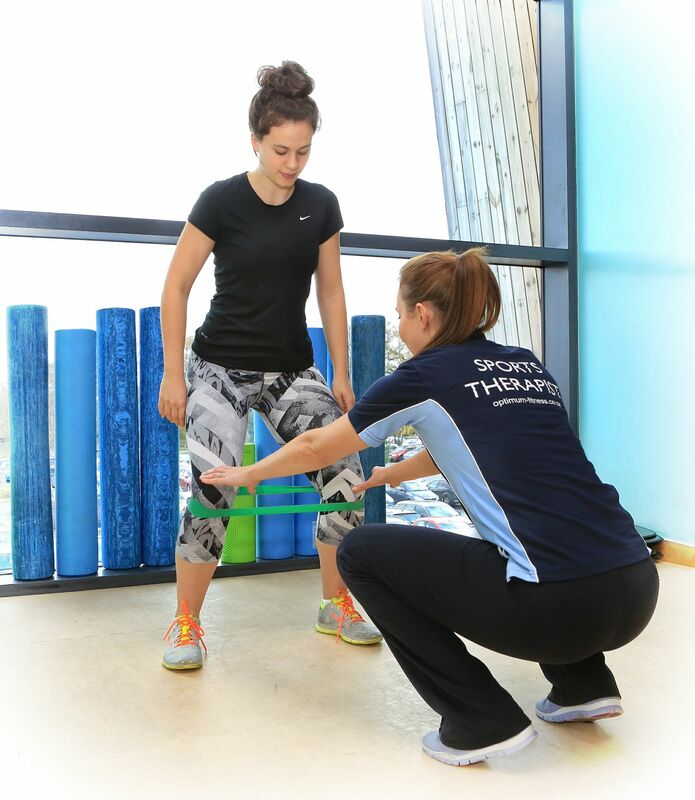 Once you have seen one of our Sports Therapists and had a full assessment and treatment, the next step is rehabilitation. We will prescribe a personal rehabilitation programme which may include Pilates based core exercises, resistance band exercises to strengthen stabilising muscles, or to use to aid stretching. Balance and self massage may require a foam roller (a real staple for anyone into sport!). We do loan foam rollers out if you do not have one already. We also have a dedicated Pilates Studio which we use, this may also include stability cushions, Swiss Ball, chi ball and hand weights. Our aim is get you back to Optimum fitness, in a safe and effective way whereby no re-injury should occur as you will be stronger and more flexible in the joints and muscles. Clinical Pilates at Optimum are 1-2-1 sessions with our Sports Therapists who have the skill, expertise, and experience in assessing and treating Sports Injuries and back/joint conditions. Clinical Pilates sessions are 1 hour, and are tailored for the individual with thorough explanation to Pilates, ensuring you understand how to ‘find’ your core, and to perform the correct and safe exercises right for you and your injury or condition. Sports Therapy is an aspect of professional healthcare that is specifically concerned with the prevention of injury and the rehabilitation of the patient back to optimum levels of functional, occupational and sports specific fitness, regardless of age and ability. Sports Therapists assess and treat musculoskeletal sport and non-sporting injuries/conditions, with a rehabilitation programme to be completed either at home or in the gym for optimum results in aiding full recovery and returning to full fitness and exercise.